This is one of those posts that doesn’t feature a bus, or at least not directly. This time I’m focussing on one of my other interests, the Morris Minor. 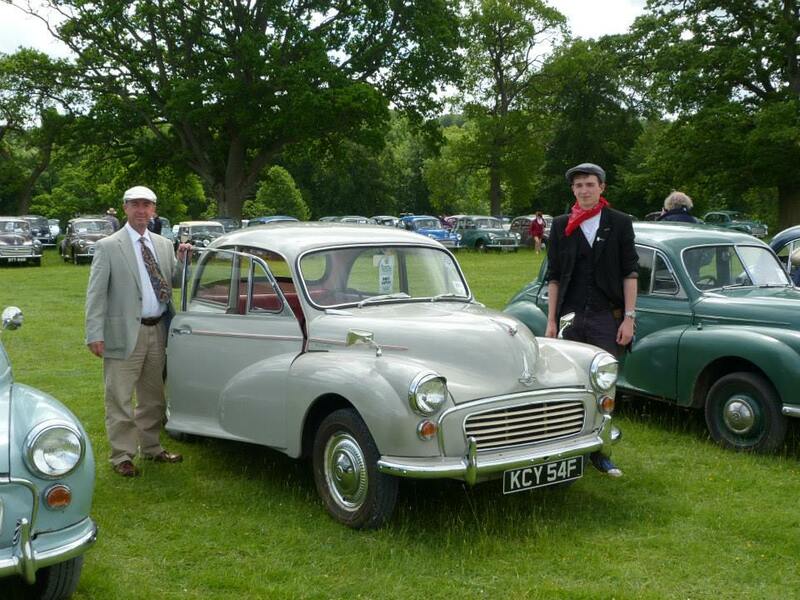 I recently acquired a new Minor, after passing my first one (a Dove Grey 2-door saloon) to my son Peter. He has inherited my love of historic transport and often joins me on my bus adventures as Conductor. Convertible Morris Minors don’t come onto the market very often so I was particularly drawn to this one, especially as it is white. Regular readers will know that I attend many weddings as a vintage bus driver so the prospect of turning out occasionally with a Moggie appealed to me! 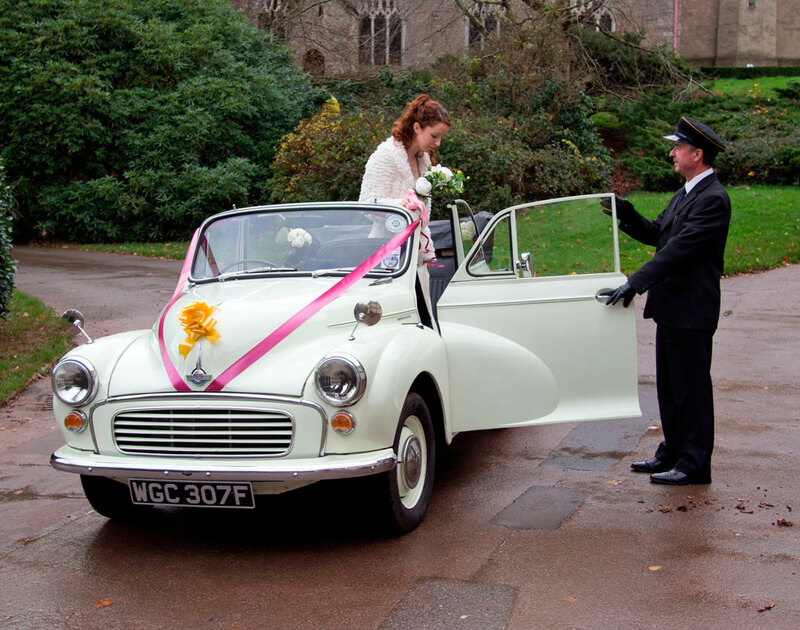 The market for classic vehicles as wedding transport continues to flourish in the UK, and not just vintage buses. Vintage cars have been used for weddings for decades but recently other types of vehicle have gained popularity. These days you can see brides arriving for their marriage ceremony in vehicles as diverse as stretched limos, fire engines and VW camper vans! 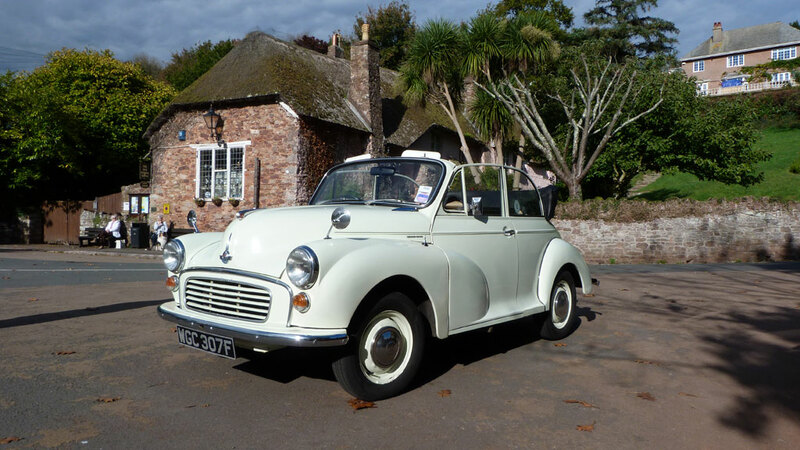 The iconic Morris Minor has also been added to the list of popular vehicles in the last few years but I have never seen one used as wedding transport in South Devon. So I intend to plug that gap! It’s a 1938 Austin ‘Big Seven’, although I’m not sure how it acquired that name because there’s nothing ‘big’ about it at all. When there are two people aboard the experience is what you might call ‘intimate’! By the way, I don’t know who the bloke in the photo is, he just happened to be walking by. The owner of the sightseeing tours bus also runs a tourism-related publishing business and this delightful little van has been purchased as a means of visiting the clients of the various publications, all of which are reasonably local. 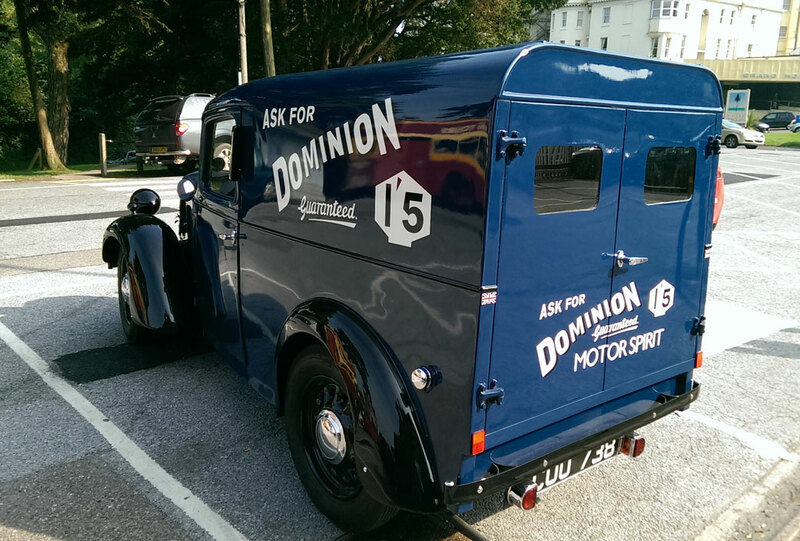 In due time it will lose the Dominion Motor Spirit advertising, appropriate though it is, in favour of a livery which promotes the other side of the business. I will post another photo when this has been done. I had the honour of driving the van on only its second outing since being delivered the same day. 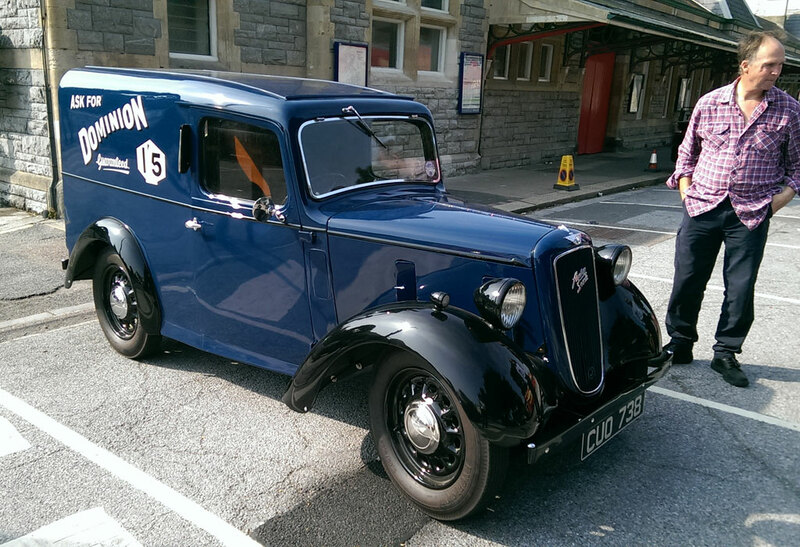 Apart from the ridiculously tiny space in the cab, it felt similar in some ways to my Morris Minor. There’s synchromesh on 2nd, 3rd and 4th gears and it’s relatively underpowered with only 25hp available from the 900cc engine. 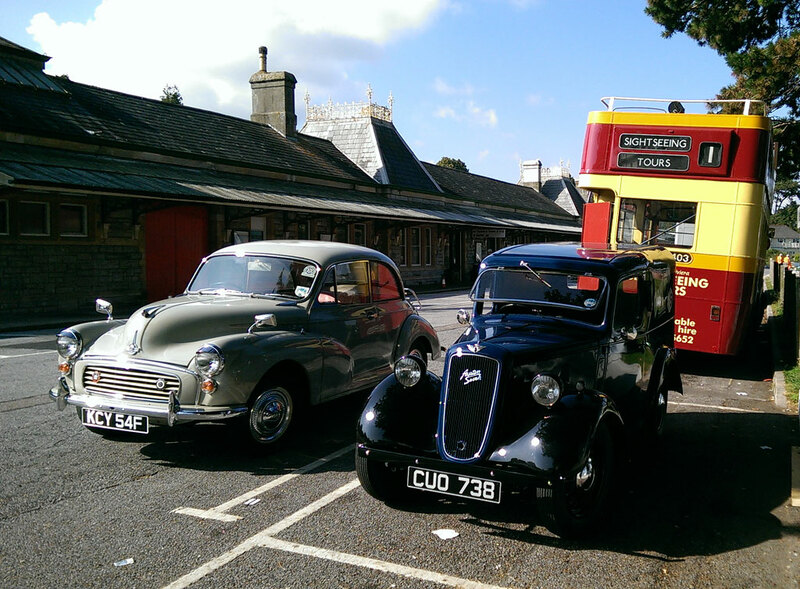 Before I left for the day I couldn’t resist posing my Minor next to the Austin and the Leyland PD2 for a photograph of a little part of Torquay which has gone all vintage! 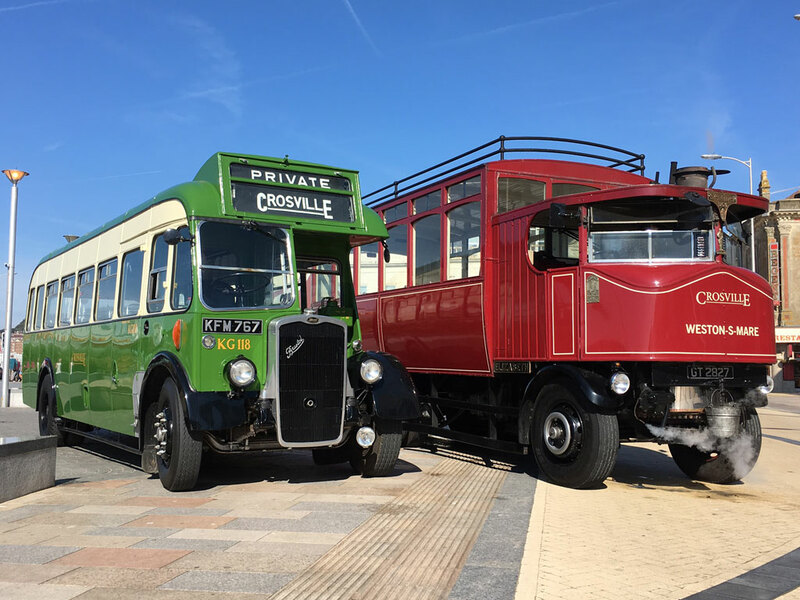 In other news, I’m looking forward to attending the Westpoint Rally this coming weekend, organised by the Westcountry Historic Omnibus & Transport Trust (WHOTT). And finally, you have been reading my 200th post on this blog! Those who know me well realise that a lot of the time I live with one foot in the past. So I had the perfect opportunity to do just that last weekend. The occasion was the 150th anniversary of Upton Vale Baptist Church, of which we are members. The large building, opposite Torquay’s Town Hall, was first opened in April 1832 and our celebrations are spanning three weekends. Taking the theme from a Bible verse: “Jesus Christ, the same yesterday, today and forever” (Hebrews 13:8), last Sunday we celebrated the ‘yesterday’ part of our history and everyone was encouraged to dress up in costume, representing some part of the building’s timeline. 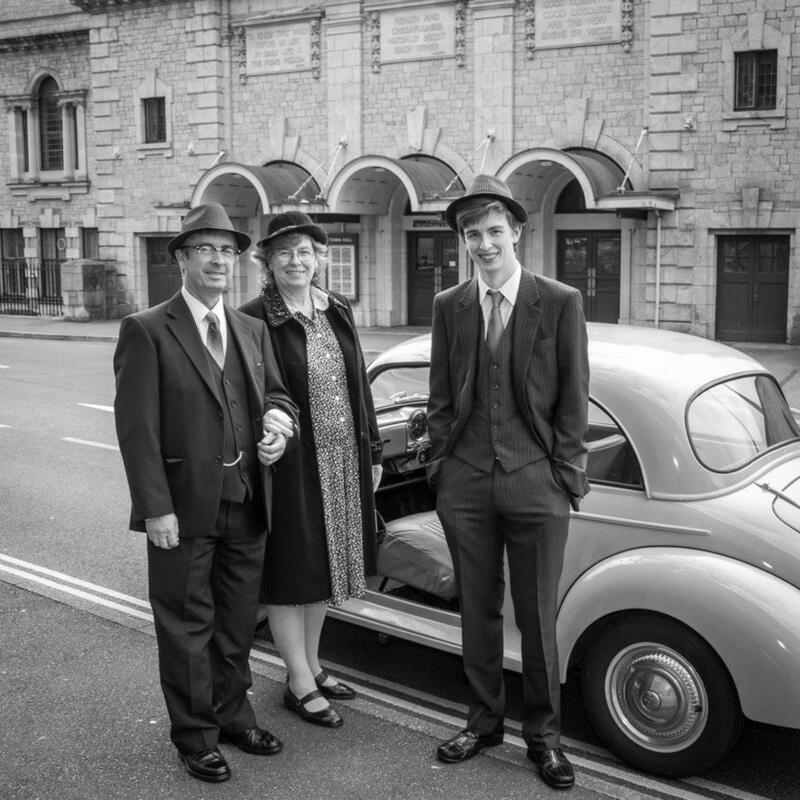 We tried to create the ‘Mr & Mrs 1967’ look, to suit the age of our Morris Minor, but actually we look more like ‘Mr & Mrs 1940’, particularly the spiv on the right with his trilby set at a jaunty angle. As you can imagine, we thoroughly enjoyed getting into the yesteryear mood and a few cheap ebay purchases (such as fake NHS glasses for me and a repro antique handbag for Mrs Busmanjohn) completed the illusion. Many other folk joined the fun, with all sorts of excellent costumes worn. In other departures from the norm, we dispensed with our usual worship band, in which we sing and play, and formed a traditional choir instead. If you’re on Facebook, there’s a great set of photos taken by photographer Paul Eaton which sum up the day very well. 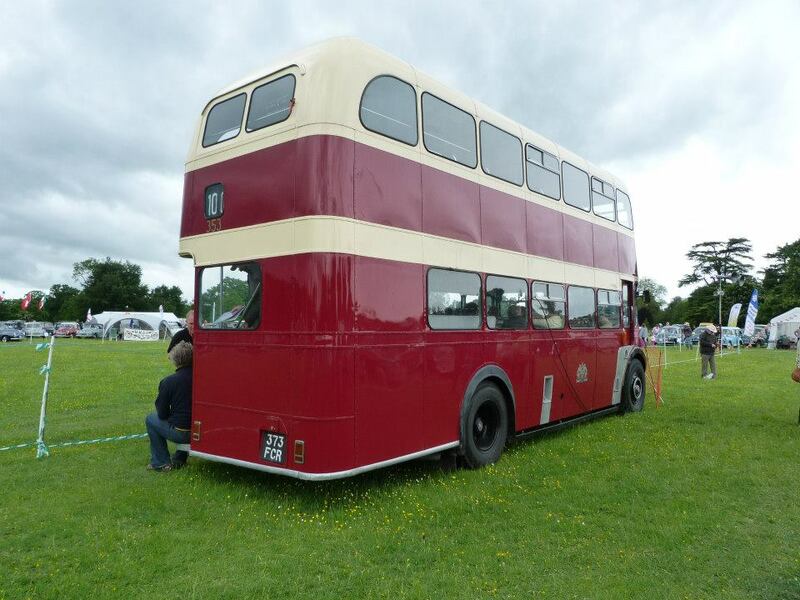 My next outing with a bus, correctly attired in a Tilling bus uniform of course, will be next Saturday when I’m off to Bath with (very appropriately) a Bath Services Bristol Lodekka.